While I pride myself on being a very organized person, life happens and things do go wrong. For example, I recently went on a shoot only to realize that I was missing a couple of light stands. It’s times like this that separate the amateurs from the pros; through years of training and experience, I confidently handle situations like this. I didn’t panic. I surveyed the situation and took note of my resources. Luckily it was a rainy day and I brought along an umbrella. 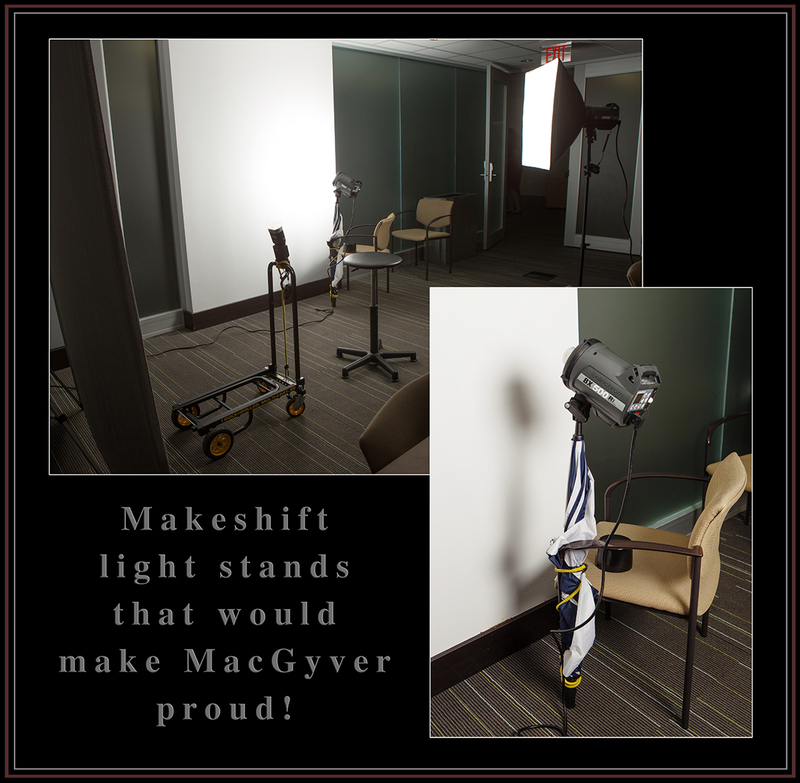 Using my best Boy Scout problem-solving skills and doing my best MacGyver impersonation, I was able to create makeshift light stands by lashing my umbrella to a chair and using my equipment cart for another; the shoot went off without a hitch. shoots to be best prepared for each situation and to help minimize potential problems. A quick check of the appropriate list, load up the car, and off I go.